…Yeah, I’m still New Yearing. Cyrus’s birthday was yesterday…. It must be really good to be a 9 yr. old kid who wants nothing. All he wanted was a cake. And that’s what his mama got him. I guess there is some type of threshold for consumerism…. even for kids. I asked, ” Are you sure there isn’t something that you want?” And his reply was, “But I already have you Mom!” …..Yes I cried. I tell ya there’s so much love in the world it’s intoxicating. Life is about choices… and one of the best choices that I have ever made was becoming a mom. 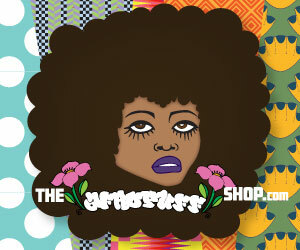 My AfroPuff Trademark is official. I have three new stalkers: A neurosurgeon from UCLA, An antiques dealer, and A real estate developer. They are harmless at this point. Oh, and my neighbors toilet exploded yesterday and my store got flooded and I spent the day mopping up water seeping from under the wall. Hey and it’s only the second week of the new year!